The most popular blog posts I write are the ones about my experiences. I don’t mean posts about my life, but rather posts about what I experienced when I went through certain events. For example, by far the most popular post in the history of this blog is my experience with the Miller’s Analogies Test. Second would be the series on Bells palsy. The point of these kinds of entries is to help others out who are going through the same thing. Recently I went through a series of Avastin injections for a problem with my retina. I wish that I had something like this to read before my first shot. That is my goal - to help others know what to expect if diagnosed with something requiring Avastin injections. I will divide this into 3 posts. This intro is the first. The second will be my problem, my diagnosis, and what led me to the point of needing injections. The third, and most helpful, will be about what I actually experienced with the shots. How they felt, the side effects, and my results. ...do you have to go without blogging before you are no longer a blogger? It's a good thing school officials called the law on this kid. We can't have 4th graders out there passing counterfeit bills This ad specifically says not to be used for fishing bait. But c'mon he's just giving away worms. I should get these shouldn't I? 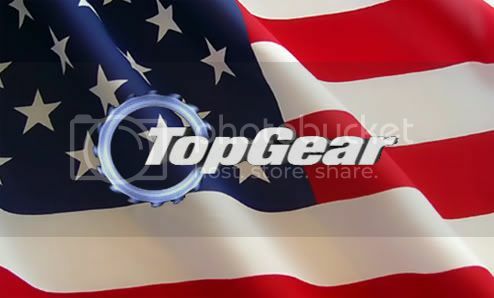 Before my review of Top Gear America even begins, I should say that I am a fan of the British version. (If you are not, just watch episode 14-6 of the UK version, the trip through South America. It’s probably one of the best things ever put on TV.) I have done my best to have this review be not a comparison, but a review only of Top Gear America. The first season is complete and I will say that it got off to a rocky start. In fact the first episode was by far the worst episode. The piece with the car trying to avoid a helicopter was beyond stupid. They are running / hiding from a helicopter and they stopped on a bridge. Doesn’t it seem like the first rule of hiding from a helicopter would be; do not stop on a bridge? After that though, the show began to find a groove, so here is my review. The reviews of super cars should probably be the heart of the show but they often feel half-baked. It is almost as if they are an afterthought. A great example of a half-done review is the one for the Porsche Panamera. The whole reason for reviewing the car was that it is a 4 door supercar. So what is the first thought a person would have when reviewing it? Put some people, or a car seat, or a dog, or something in the back seat. Maybe try getting some golf clubs in the trunk. (I know I said I wasn’t comparing, but the UK version used it to transport a wedding party) They barely even showed the back seat. Certainly they never used it for any actual purpose. Why copy the Stig? It’s not the British version after all. So why not just use Jeff Gordon or Jimmy Johnson, or Danica Patrick? They are famous enough to have credit as a driver and would add some star power to the show. As it is, I feel no mystery whatsoever about the stig. In fact I don't even care who he is. Whenever the show is back at the studio/hangar it feels like an infomercial. The editing is choppy and the laughter and applause seems forced or fake. On a show called Top Gear America it is unforgivable to use a foreign car for the star in a reasonably priced car segments. Unforgivable. Has a Ford Fiesta just got too much power for the stars? I didn’t write a single real blogpost in January. I'm pretty sure that's a first in the history of this blog. I only put together best web junk, and my 500th post. There’s nothing wrong with me, but it was an eventful month. I had an extremely busy church calendar, plus I was sick for about a week. I’m back now. I will write at least one post per week in February, that is my vow to you. I am saying that publicly so that I will be accountable as the month goes on. For the past 7 Novembers I have been a North Carolina Baptist and I have attended the North Carolina Baptist Convention. For at least 3 of those years I have had a conviction that the state convention keeps entirely too large an amount of cooperative program funds. I have considered making an amendment from the floor to move toward a 50/50 split between the BSCNC and the SBC. At one time I even consulted some friends about the best way to do this. Ultimately I decided that the timing was not right for North Carolina. (At least not yet.) I am no longer a North Carolina Baptist. I am now a Kentucky Baptist, and today I believe we made history. (I guess Florida beat us to the punch, but only because their convention was last week.) Today we voted to move toward a 50/50 split between the KBC and SBC. We voted to do so within 10 years. This represents a 14% change. Even more significant, there will be a 5% change in thisyear's budget. This change in the way we fund the CP was a part of a report from the KBCs Great Commission Resurgence task force. There were 4 recommendations as part of that report, and I expected that someone would make a motion to consider each part separately. No one did so. There was a motion offered to ignore the report, make a 1.5% change and thank the committee for existing, but it failed handily. The discussion was remarkably civil. I didn’t even hear groans or commentary from the crowd. The recommendations passed with 2/3rds majority and I am proud. I believe this was a great move for Kentucky Baptists. It demonstrates real commitment and not just lip-service to taking the message of Christ to the nations. Today I served as a teller. It was my first time serving in any capacity at a convention, and I was glad to do so. Interestingly the ballots in my bucket twice were in conflict with the final tally. You may notice that I share a name with the president of the convention. Don Mathis was an excellent moderator and even if we were not related I would say so. My former church, Mexico Baptist, was recognized for being number one in per-capita giving to the CP. The body as a whole at the KBC is a much younger group than in North Carolina. I was impressed with this. I think it shows a bright future for the convention. People are always saying that the younger generation is not interested in identifying with the SBC. But today gives me hope that that is not true. Kevin Smith said today that if only gray-hairs are happy, then something is wrong. I agree and I believe that many of the younger generations were happy. If you missed the shiny shirts that the choir wore at today’s meeting, you really missed something. I cannot do them justice with words. The pastor’s conference last night was wonderful. It featured 3 premier preachers, Johnny Hunt, Danny Akin, and Alistair Begg. The youth ministers’ meeting was yesterday as well. I was challenged to think about some stuff, and I appreciated each of the speakers. (Especially because they kept it short) It was definitely worth my time. We had nothing like that in North Carolina. I am grateful to Joe Ball for his leadership and his desire to see us fellowship as a group. It was November and William was out for his daily walk through the neighborhood. It was cold this morning but walking through the neighborhood was better than a treadmill and looking at the same wall for an hour. As he arrived back at his house he checked the mail and found a package. There was no return address on the package and he didn't remember ordering anything so he opened it as he was going into the house. "At least it's not a train ticket," he thought, recalling a frightening dream he had about a year ago. He began to debate in his mind whether he wanted to be a part of a mysterious adventure. The ticket was for a flight tomorrow at 7 a.m. so he had a while to make up his mind. Brazil was not an unfamiliar destination for William. His mind was busy processing memories of his previous visits to the country. Four years ago he resigned from his mid-level position with Cummins Diesel Engine Cooperation, which had provided him the opportunity to travel to their manufacturing plant in Rio de Janeiro. November was a wonderful time to visit South America as winter’s chill was creeping into the USA. As he thought about what clothes to take (if he actually did take the trip) he realized that he needed to start a load of laundry. William woke up at 8 a.m. and muttered something inappropriate. He rushed to the airport, and to his relief, the flight had been delayed because of a massive snow storm. Several hours later, as he boarded the plane, William noticed a very distinct odor. “Dunkaroos!”, he exclaimed, and ran towards the source of the smell. A very old woman was trying to pick up all the cookies she dropped when her granddaughter knocked them out of her hands. The granddaughter was busy licking the chocolate off of her first packet. An hour later, he was on the plane with a stomach full of those delicious dunkable cookies. He had paid dearly for those Dunkaroos™ as the little girl was indeed not a novice in the art of haggling. As he settled into his seat, his stomach rumbled and he realized that he was not yet done paying for those dastardly Dunkaroos™. “Darn me and my irritable bowel syndrome”, William says to himself. As he is doubled over with sweat dripping off the tip of his nose, he realizes he has caught the attention of the young and attractive red head sitting across the aisle. The fart was loud and long, the kind that says “Look at me, something is wrong inside!” The red head turned away in disgust. William’s eyes turned to the only slightly less attractive brunette, two rows over, who was cracking up. Their eyes met and twinkled the kind of twinkle that only comes from an appreciation of a good fart. “Phil? Phil Connors? Is that you?” she voiced. “No. My name is William”, he answered. “I guess you have me mistaken for someone else. Please excuse me. I need to visit the little boy’s room.” I’ll spare you the details of the events that took place for the next 8 minutes. Needless to say it wasn’t pretty. After returning to his seat, feeling like a new man but still with that “not so fresh” feeling, he noticed that the flight attendants were now serving food. When it was his turn, William asked for the kosher meal, for he is an observant Jew. When his food was served to him, he politely replied, “Shalom, toda”, and began to eat, hoping his IBS would be slightly less irritable this time. With a belly full, and his pangs over with, at least for now, William was able to relax for the first time since the trip began. He laid back to sleep but he was unable to keep his latest project from invading his thoughts. William was a quantum physicist in his spare time and had recently been working on a homemade particle accelerator. He thought he was close to finally being able to create his own wormholes but so far they would all just disappear while emitting a blinding flash, causing William to black out for several hours. He knew he was close, and that he was missing something obvious. Perhaps this trip would clear his mind enough that the answer would come to him. After a short nap, William woke with a jerk, not knowing where he was. As his senses came back to him, he looked around and noticed the pretty red head looking at him again. His face flushed as he remembered his ordeal only an hour or so ago. He started to look away when he noticed something about pretty red head girl. She was wearing an “I’m with stupid” shirt, just like the one he got in the mail! The only difference was that her shirt had an arrow pointing to the left, whereas his shirt had one pointing to the right. William was finally able to break eye contact and began to slump down into his seat. “What could this mean?”, William thought to himself. After a few minutes his curiosity got the better of him. Despite his earlier embarrassment he decided to speak to the red head. “Have you been to Brazil before?” He asked. “Let me guess, you got that shirt and a plane ticket in the mail anonymously and decided to take a chance and go,” said William. “How did you guess?” she questioned. “I have the same story. And on top of that I don’t know what I’ll do when we land. I have no Idea where I am going, where I’ll stay or even how to pay for a ticket home. I’m just glad I already have a passport. Maybe I should introduce myself. My name is William. I work for the Wisconsin Board of Tourism and Cheese Relations, but in my spare time I like to toy around with particle physics. How about you?” he asked. William was captivated by her southern accent. It was so smooth and sweet – like fine chocolate! “You realize you said that out loud, right?” Wilma said with a blush. “Crap.” William said, a small IBS fart escaping. Both blushing, William and Wilma returned to their seats. Several passengers nearby giggled. William looked out his window as they descended out of the clouds and, from that height, he could see the famous Christ the Redeemer statue up on the peak outside of Rio. This is a familiar landmark to him. It was on his first visit to the statue that he had met Father Roberto. Father Roberto was racing to the airport as fast as the scooter donated by one of his parishioners would take him. he wasn't sure why William was coming to the airport, just that he had received a letter yesterday announcing his arrival, flight information and that William need to talk to him desperately.